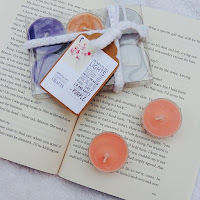 As promised we are back today with another feature post showing you some of Bookworm Candles and Craft’s latest releases and trust me, you’re going to want to keep reading! 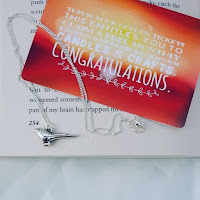 Now if you’ve missed the few first posts then don’t worry you can go back and view them by clicking this link: Bookworm Candles and Crafts Previous Posts. It will give you an idea as to what we’re trying to achieve by doing these feature posts and ultimately its to let you know that companies like Danielle’s do exist and they are doing their best to bring all your favourite books to life through candles, soaps, jewellery and other craft pieces. Firstly I’m going to be showing you their January Monthly Box and the theme was: Only One Girl Can Win the Crown – a box inspired by The Selection by Kiera Cass. I know how many of you love this series and the owner, Danielle did a fabulous job creating so many amazing pieces. • Bookworm Candles and Crafts brand new one true pairing candle set, comprising of two candles both in heart shaped tins. Now the most amazing thing is one is Maxon scented and the other America. Maxon smells of honey, summer and my dears, and America smells of garden walks, musical notes and pennies. • Bookworm Candles and Crafts exclusive foaming bath whip which is princess themed with aloe vera and glitter which is used like soap and foams up in water. • America’s songbird necklace that her Dad gave to her in silver. • A pink velvet ribbon bookmark with a crown charm and beads. • May’s strawberry tart lip balm which smells like delicious strawberries. • Bookworm Candles and Craft brand new quote compact mirror with the sweet ear tugging quote on. Doesn’t it all look amazing? Now unfortunately you can no longer purchase this full box for sale but you can purchase a few of the items from Danielle’s store such as May’s strawberry lip balm, the compact quote mirror and the Maxon & America heart candles. And also don't forget if you order a monthly box from Danielle, one lucky person each month will be picked to win a free box! Who ever finds the golden ticket needs to claim their prize which is pictured to the right! So keep checking those boxes. Now I'm going to tell you about some of Bookworm Candles & Crafts newest releases. The first is a new range of candles which I know you guys are going to go crazy for! How many times have you wanted a candle in not only your favourite character's smell but your favourite couple? Yes, you heard it right. The new range is a blended range of some of your favourite couples where two characters have been combined into one candle to make one unique smell. There will be several to be released however the first one is Romione - so Ron Weasley Granger and Hermione from Harry Potter. Romione smells like ginger and sweet Orange and made a fruity floral blend unique and just for them. And the second one is Belward - so Edward Cullen & Bella Swan from Twilight. The candle smells like sparkles, dewberry and lilac which has made a fruity floral blend. The candle is blended with the chocolate brown of Bella's eye with lilac. Introducing them in Bookworm and Candles brand new jars these make an amazing gift. With a gorgeous push on lid and the cutest crochet and charm too. They also have a two tone wax to represent the two characters. This candle jar is big and holds 300ml of wax. The blended candles range also comes in a 4oz candle tin too. Price ranging from £6.00 to £14.50. 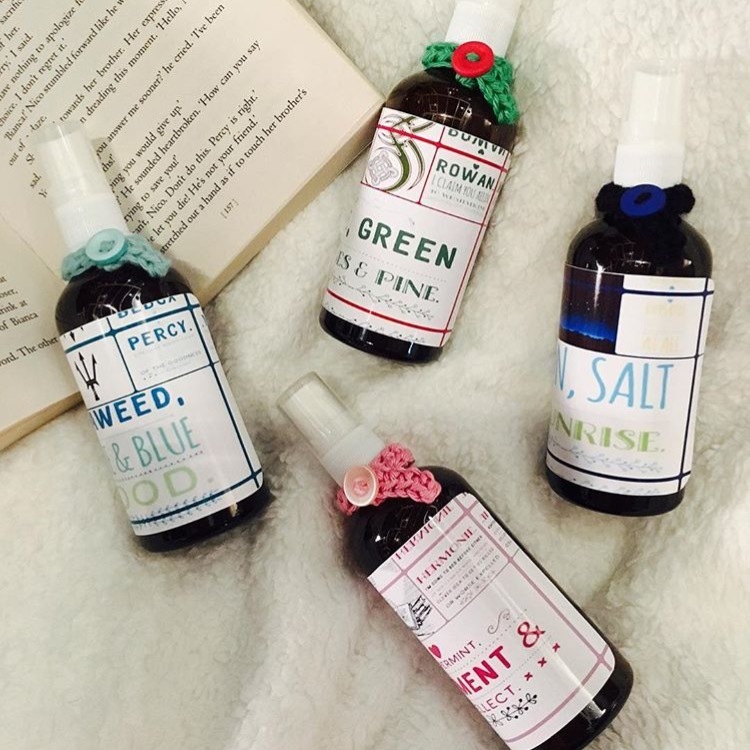 The next newest release from Bookworm Candles and Crafts is these amazing room sprays. So far this collection of room sprays come in four different scents but more will be coming along shortly as well as some location room sprays. Hermione from the Harry Potter series: Smells like peppermint, parchment and intellect. Rhysand from A Court of Thorns and Roses series: This high lord smells like rain, salt and sunrise. Each of the bottles comes in 100ml amber glass bottle and all have Bookworm Candles and Crafts signature touches. Next up today are these cute moment inspired tea lights. In this set you will receive six tea lights featuring three different moments: Katsa & Po Campfire Discover (Red), America and Maxon Dancing in the Rain (Grey) and Lia and Rafe’s Blackberry Collecting (Purple). If you’re looking to sample some of Bookworm Candles and Crafts newest moment candles then this is the perfect choice for you. Or even as a gift to a family member or friend. These are priced at £5.00 and as you can see they come in the cutest packaging! This one is perfect for you Harry Potter fans as this time we are giving away a tin of Harry Potter inspired soy wax melts as well as a Dumbledore mini candle tin as you can see pictured below! So all you need to do is enter on the below form.